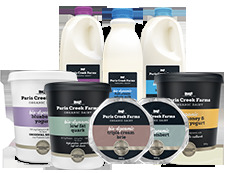 Paris Creek Farms have a great range of natural products that taste great and are better for you. I’m particularly fond of the full cream milk (that actually complements the taste of my tea!) & their yogurt which is quite low fat/sugar compared to other brands… you don’t feel guilty for putting it on your morning weetbix! Lol keep up the good work. Here’s to local S.A brands!